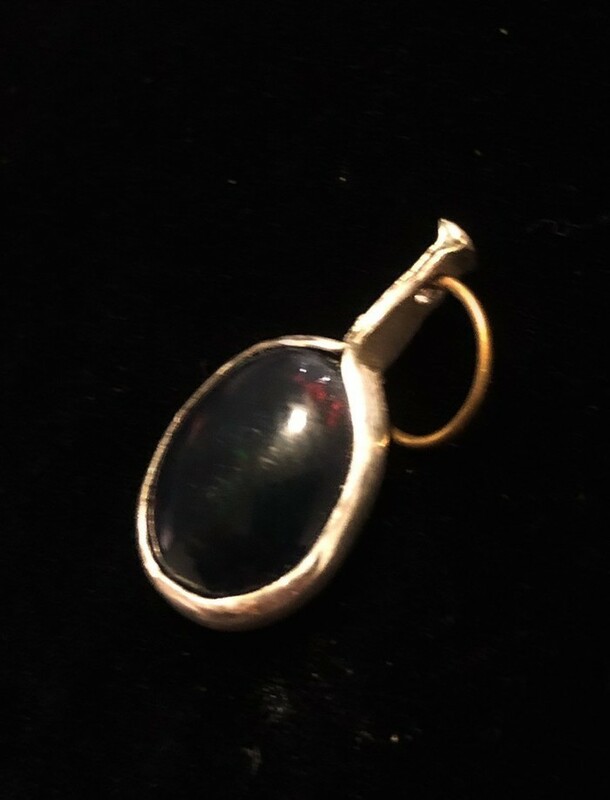 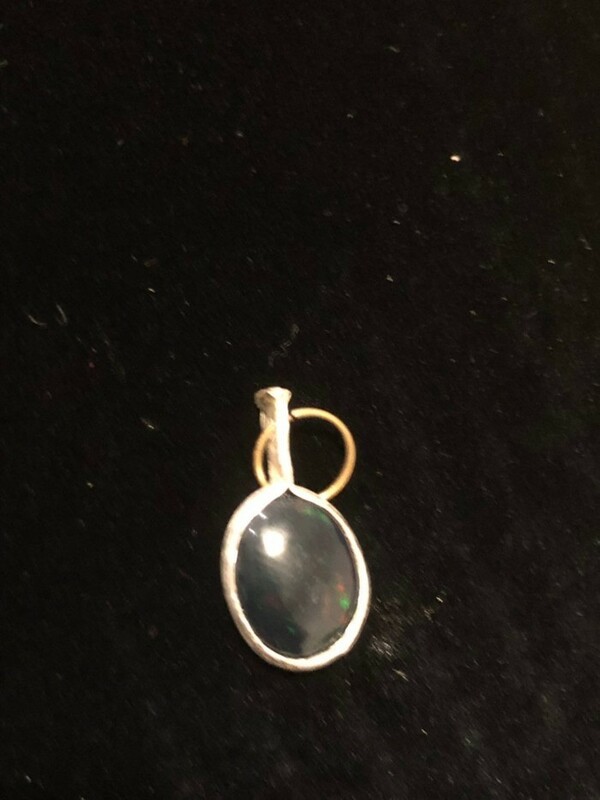 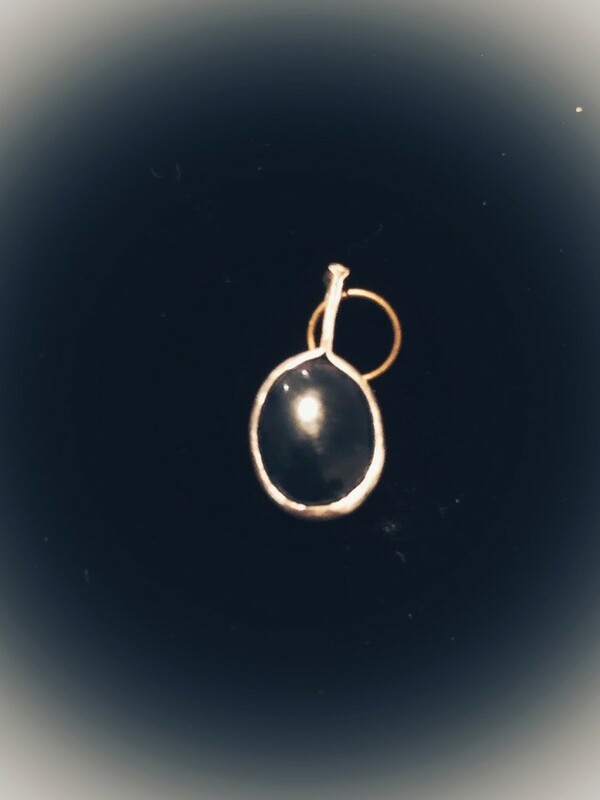 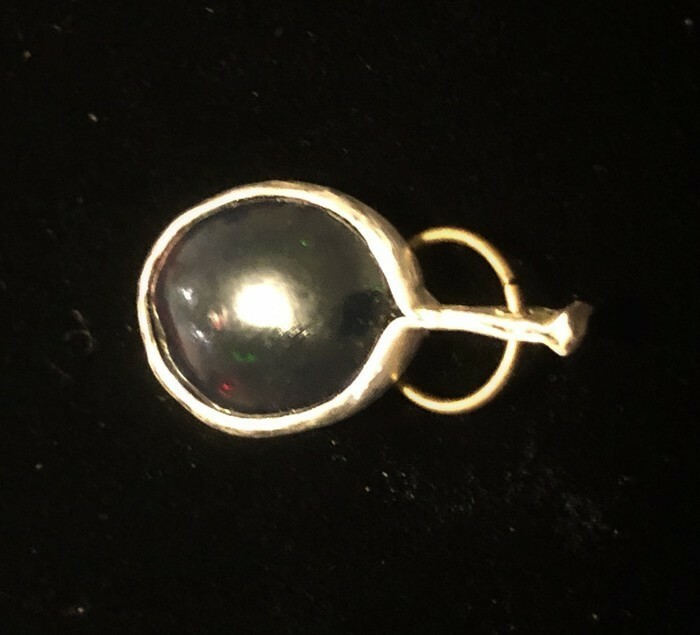 Solid Welo Opal stone which I have set in a fine silver setting. 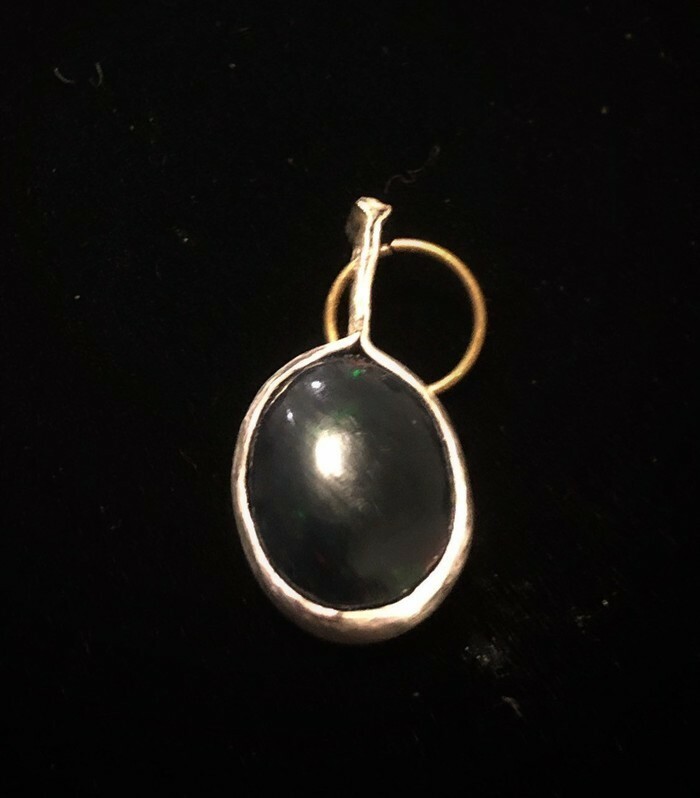 The Opal is black solid opal and is very dark. In light the play of colours can be seen - some greens and reds are evident.